We've partnered with several companies and departments to offer our customers the absolute best we can offer. HVAC Duct Cleaning and much more! Offering Commecial and Residential Cleaning Services. Four Seasons Pest Solutions, Inc. has partnered with J& M Auto Sales KY, Inc. to provide great vehicles at affordable prices. 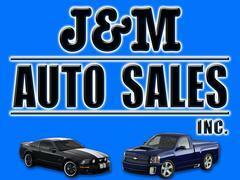 All our fleet vehicles are purchased from J&M Auto Sales. Check them out!